Nothing will kill your blog more quickly than poorly written content. Spelling errors, grammar mistakes, poor diction, and typos will make you seem unprofessional and, yes, ignorant. When it comes to writing, mistakes will have a powerful negative effect on even the best blog content. Well-written blog content adds to the impression that you know and understand what you are talking about, enhancing your reputation as an expert in your field, while poorly written blog content will do exactly the opposite. The ubiquitous nature of texting and the Social Network, with their use of time-saving abbreviations and acronyms, have had an extremely negative effect on writing; particularly the writing of blog content. While it makes sense to do so in a text message or in a 140 character Tweet, using such truncated terminology in a blog post or web copy will make you seem unprofessional and lazy. No offense intended, but it also makes you sound ignorant. No one is going to follow a blog, or buy from an online marketing site, which seems to be written by someone who communicates poorly. Blogging especially is about writing, and the effect of poorly written content can be devastating to the blogger. And neither is it “ur” or “u r”. Possibly the most misused word on the internet today is “your” instead of the contraction for you are, “you’re.” A close second would be “proly” in place of probably. If it is your desire to sound like a thirteen year old girl sending a text message to her BFF, by all means use these two words in your posts. If however, you wish to share your knowledge and expertise in a professional manner – with grown ups, avoid the use of these words and abbreviations at all costs. It is important to choose a style of expression – and to stick with it. A conversational style of writing is fine for a personal blog, but a blog aimed at professionals or business executives must possess a more professional tone. Try to flavor your content to your target audience, yet also keep in mind that to create well-written blog content you must be comfortable with the writing style you’ve chosen. Your style of writing becomes your voice online, and so, must be comfortable for you. If you constantly struggle to generate blog content, it may be because you’ve chosen a style of writing which is either inappropriate to you – or to your subject. If you’re having trouble posting blog content which is well written, play with your style choice and see what happens. Unless your target audience is narrowly defined and your subject is highly technical by its nature, you should avoid technical jargon in your posts. Rather than making you sound like an expert in your field, technical terminology can be perceived as condescending, making your audience feel ignorant. This is not a good strategy for anyone looking to build traffic to their blog. If you do feel the need to get technical with your blog content, remember to explain your terminology in layman’s terms. Generating well-written blog content is an art as well as a science. If communication, i.e., the sharing of information, is your goal as a blogger then you must make yourself proficient in this art. 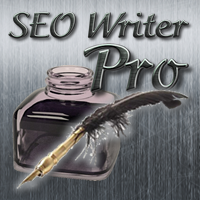 Following the principals of writing above will make you a more proficient and prolific writer. However, if you continue to have problems generating quality content for your blog, it may be time to hire a professional blog content writer to help you. This entry was posted in Blog content, Freelance Writer, SEO Writer and tagged affordable seo writer, blog content, blog content writer, blog writing, ghostwriter for online content, how to write a blog, relevant timely well-written content, SEO Writer, seo writing, web content, writers. Bookmark the permalink.